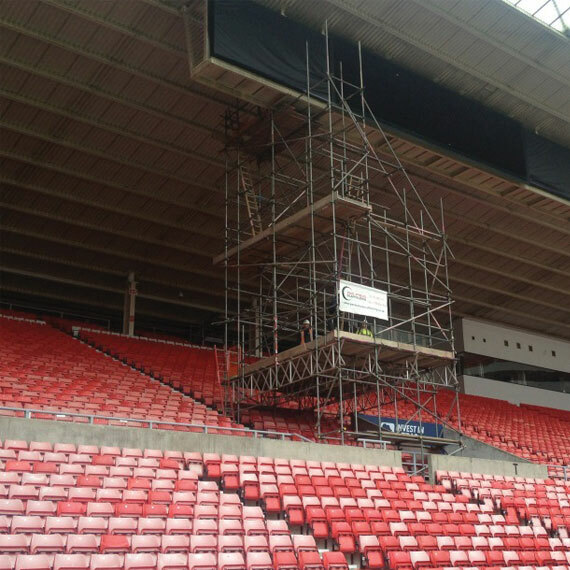 It consisted of us removing the old style digital scoreboard and replace with new digital TV screens at this major sporting venue. And was sucessfully completed on time and to budget to coincide with the start of the new season. "Scaffold was completed on time on what an awkward contract, would highly recommend."